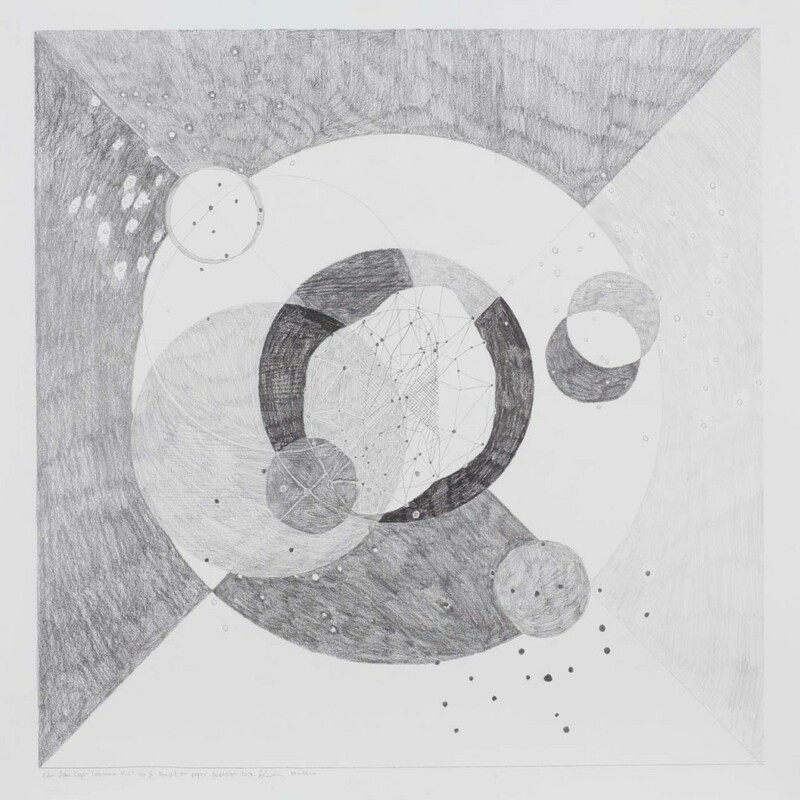 In 2014 I made a series of drawings based on John Cage’s Fontana Mix. The original Cage piece is four images printed on transparent paper. The four images, a grid, a line, dots and something that looks like a topographic map, can be placed on top of notes to interpret music, or a text for a different read, as a suggestion. I placed the images in a photocopy machine so I could enlarge or repeat the image, lay them on top of each other and copy them on to different paper. As I went, I added a bit of drawing, creating new images. The drawings became a series of symbols, a project I call Fontana Mix Photocopy Machine Drawings and they also turn out to be a toolbox for the next project. Inspired by Cage’s music, sound pieces and concepts I used the small photocopy drawings to create the Night Maps. 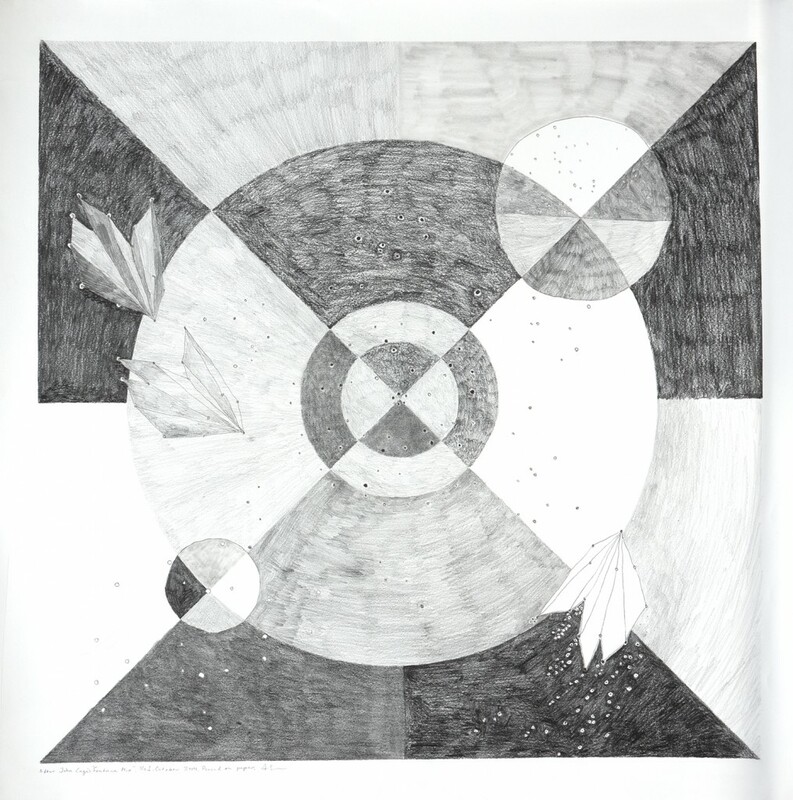 Using the photocopy-drawings like symbols, repeating them over and over, (placed on a square paper, with a clear center and in a drawn circle) I wanted to make the drawings to have a sensation of movement. Like a record, like something that could be turned around, spin, come back and start over. I started to see the repeated symbols like notes in music, as the core of the composition, that also can be repeated, become silent, fade away, always depending on who is playing them, where and how. 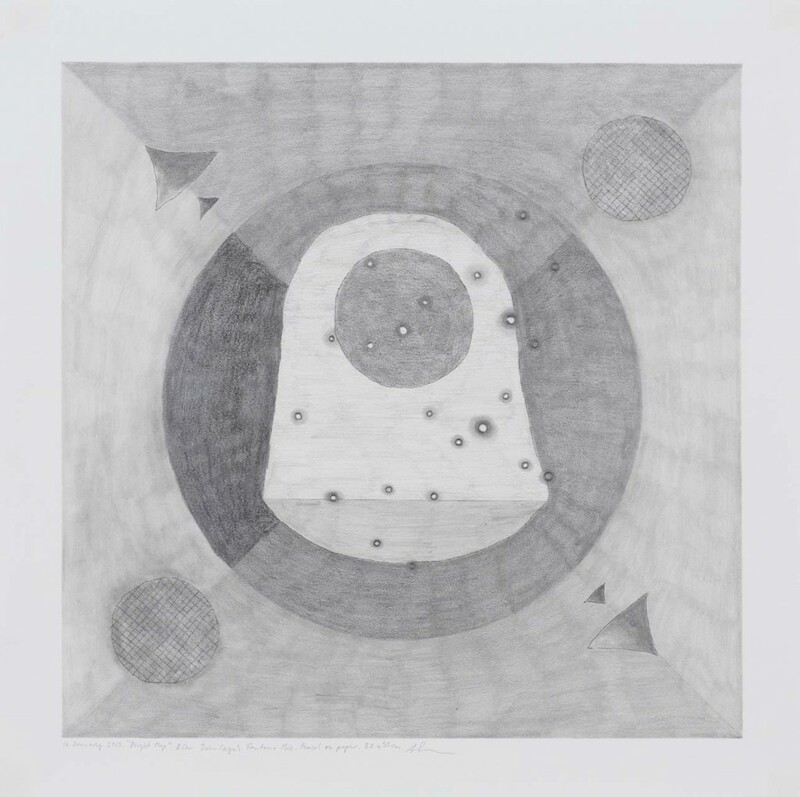 I call the body of work Night Maps, as the black and white drawings can be viewed as maps to navigate the silent music of symbols. 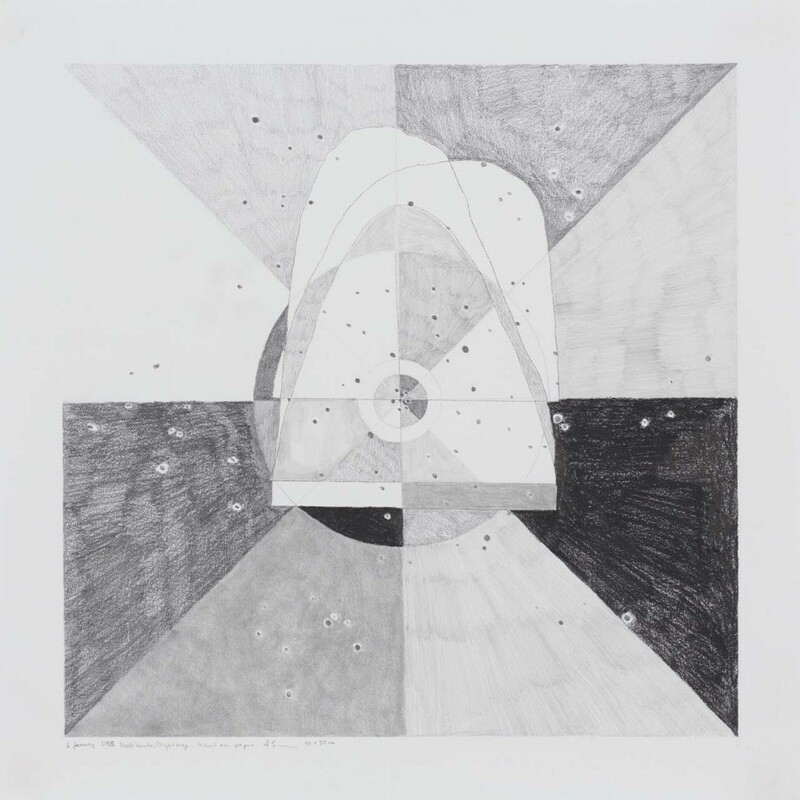 Naight Map # 6, 2014, pencil on paper, 75 x 75 cm. 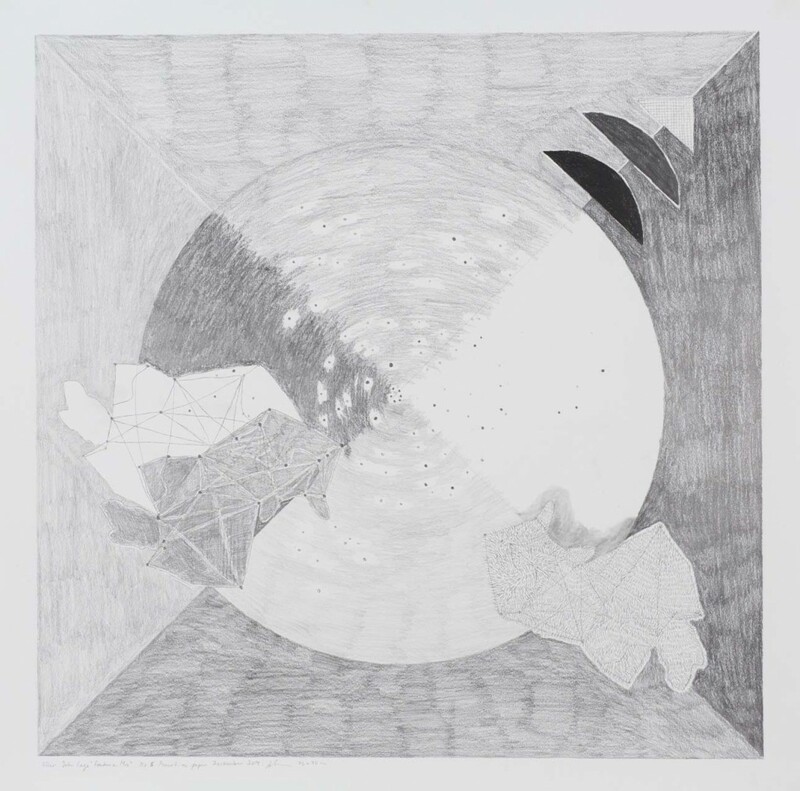 Naight Map #4, 2014, pencil on paper, 75 x 75 cm. 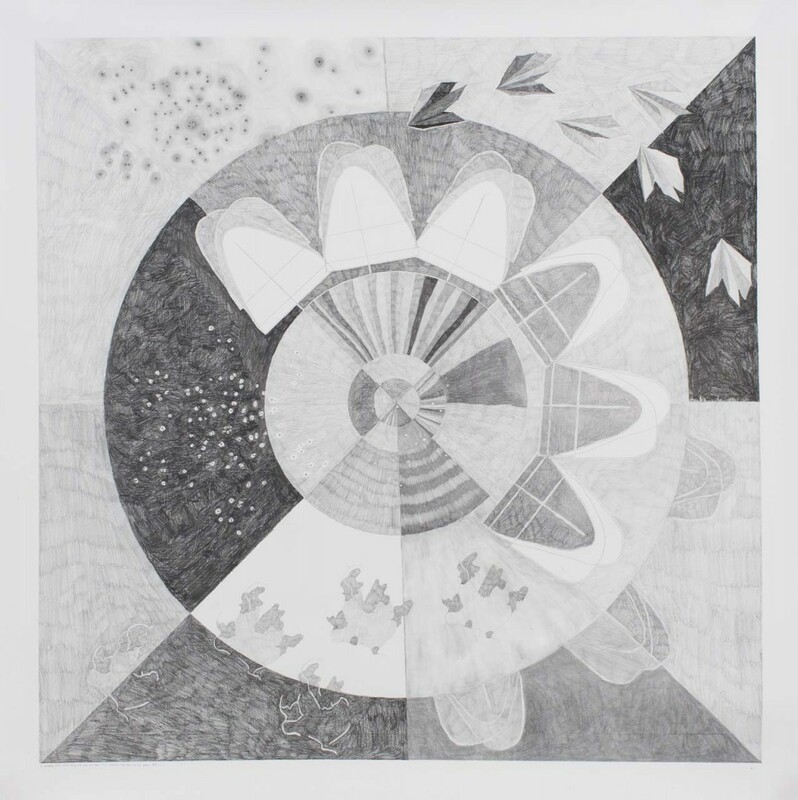 Naight Map #1, 2014, pencil on paper, 75 x 75 cm. 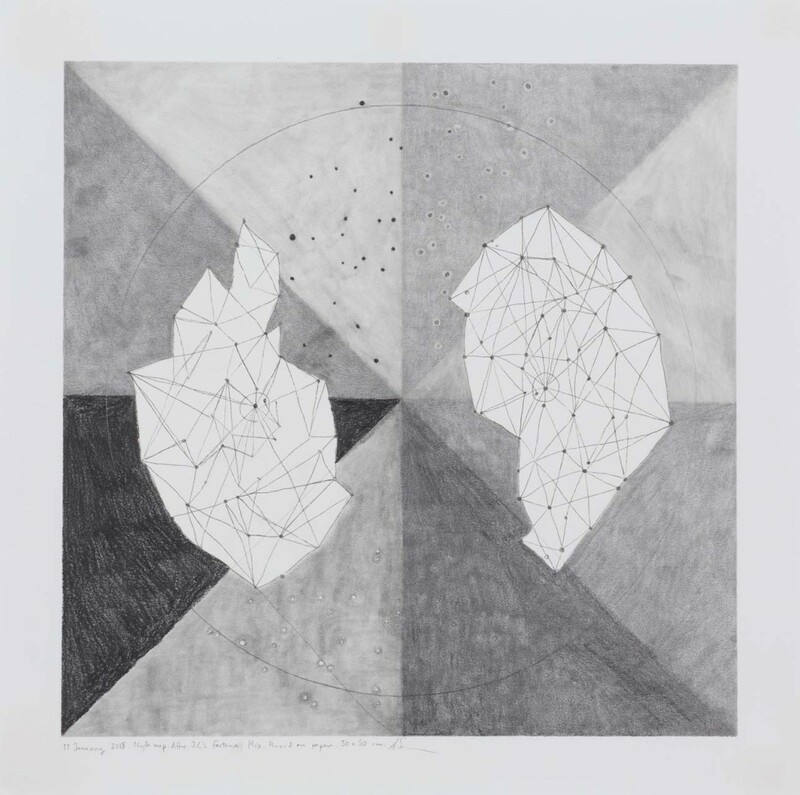 Naight Map #5, 2014, pencil on paper, 75 x 75 cm. 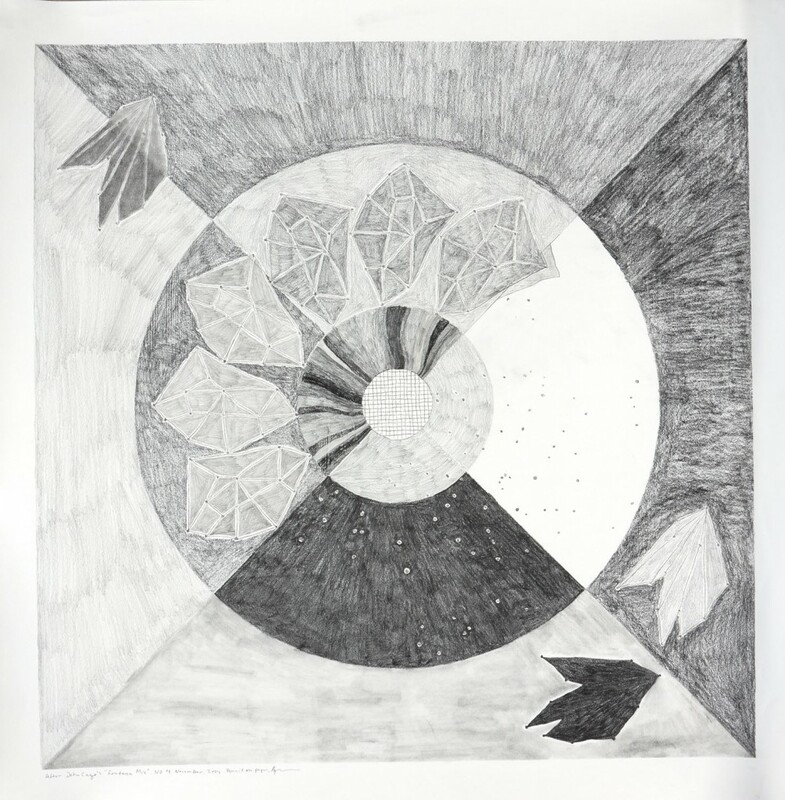 Naight Map #3, 2014, pencil on paper, 50 x 50 cm. 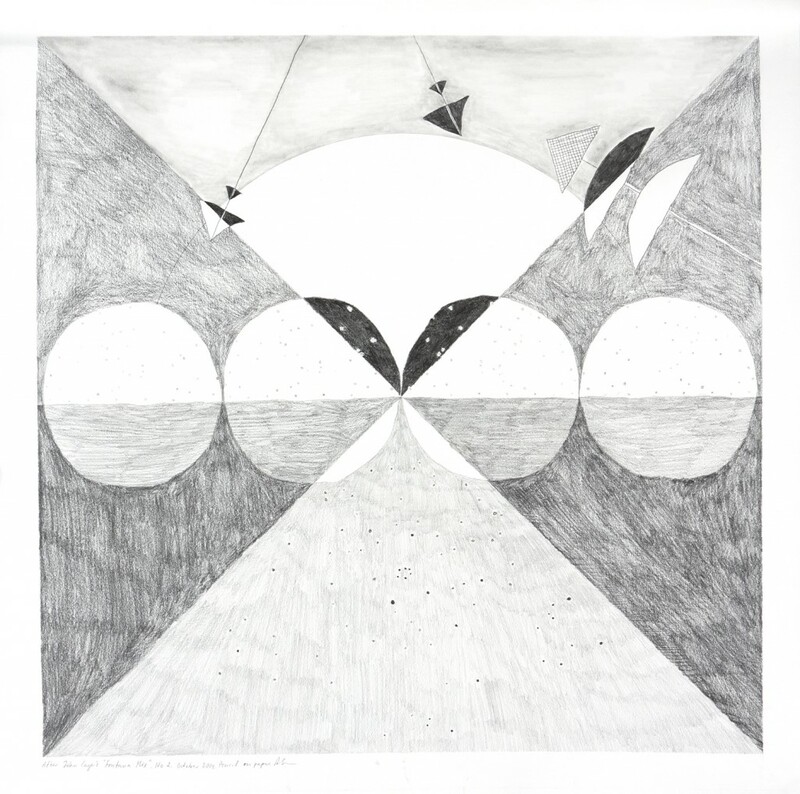 Naight Map #2, 2014, pencil on paper, 75 x 75 cm. 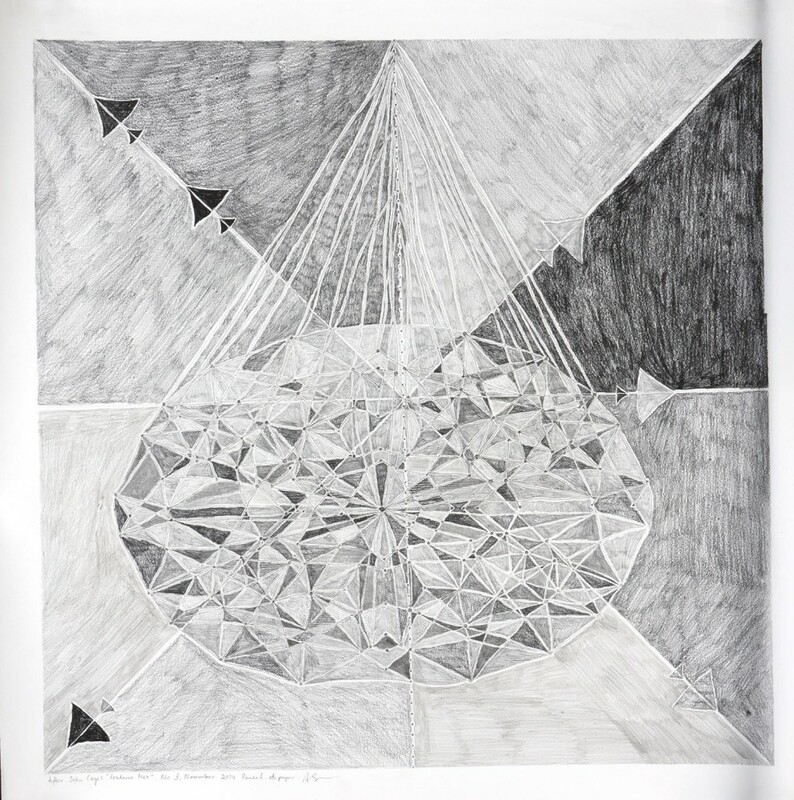 Naight Map #1, 2014, pencil on paper, 50 x 50 cm.